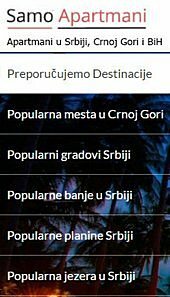 Struktura: Dnevni boravak sa francuskim lezajem, otvorena kuhinja sa trpezarijom, kupatilo, predsoblje i 2 Francuska balkona. Sadrzi: Wi-Fi internet, kablovsku TV, besplatnu garazu sa liftom do apartmana sa video nadzorom, LED TV, DVD player, klima uredjaj, podno grijanje. 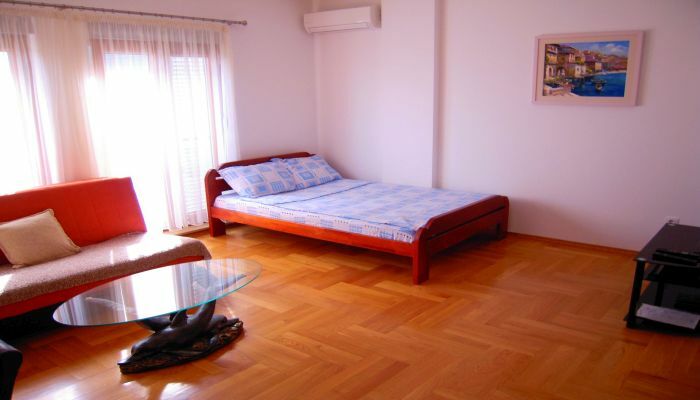 New luxurious fully furnished apartment, peacefully situated on the bank of Moraca river in the New City. Consists out of an open space living room, fully fitted open kitchen with dining room, bathroom, hall and 2 French balconies. It’s very cosy, sunny, immaculately clean and tidy. Located just couple of minutes walking distance from the City Centre. Apartment is on the 2 floor out of 6. Amenities: free Wi-Fi internet, free Cable TV, free secure underground garage with cameras and a lift to the apartment, air conditioning, LED TV, DVD player.